Texas German Shepherd Rescue View other German Shepherds for adoption. 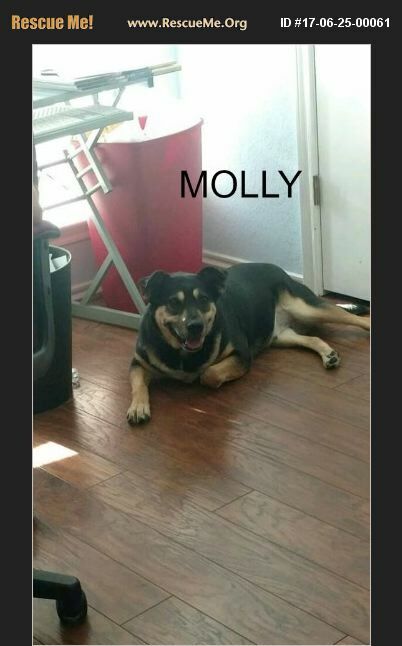 This is Molly. She is a beautiful, sweet 6 yr old shepherd mix. She is in need of a new home. She is about 58lbs, house broken, does well with other dogs as long as they are not hyper, she is HW neg (just tested) and received the 6 month HW prevention shot, up to date on shots, spayed. She is learning to use a leash and doing well. Home check will be required.